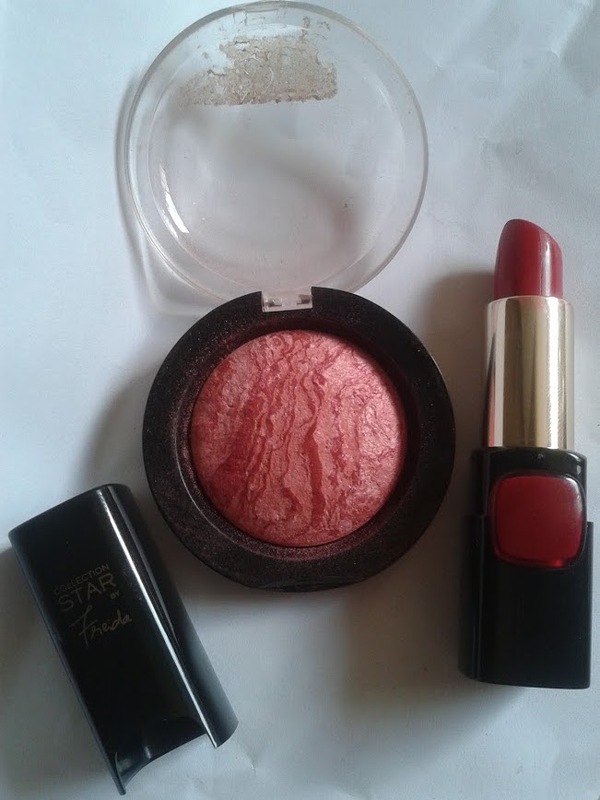 I used my one of my favourite red lipsticks, 'Pure Rouge' from the Pure Reds Collection by L'Oreal Paris. 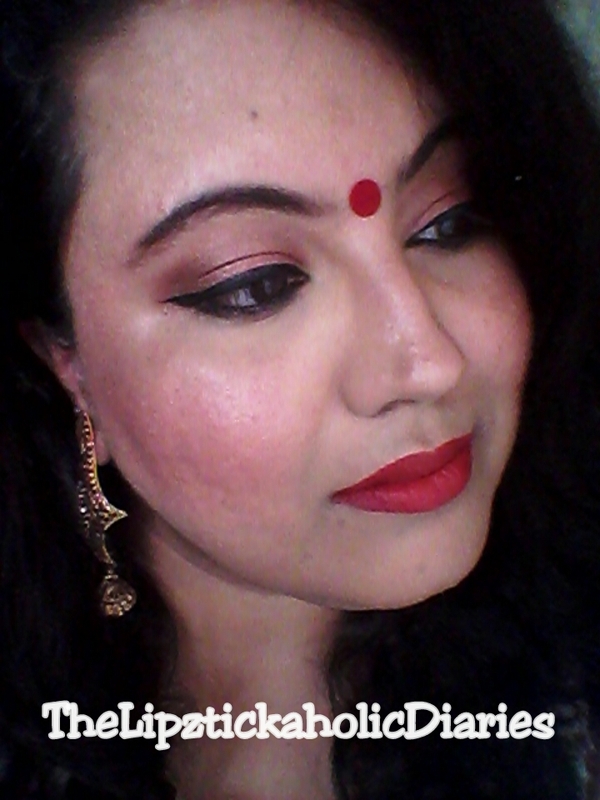 This is the famous Freida Pinto shade :-) I applied the Makeup Revolution baked blush in 'Loved Me Best' which has a reddish tone, since I wanted to tie in the bright red bindi & lipstick. 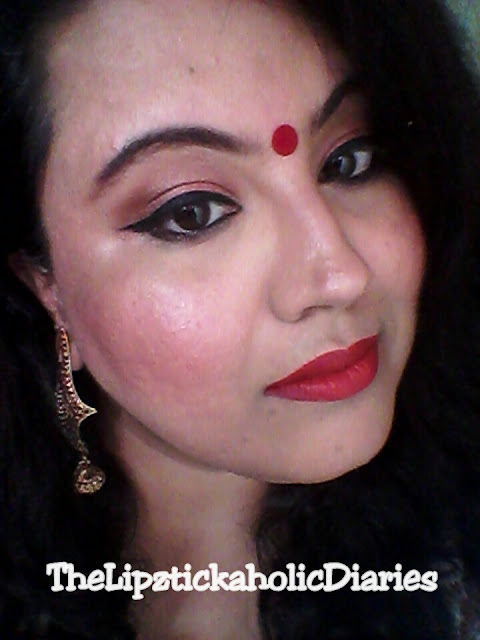 I applied a bright red bindi which I was very skeptical about at first. I have a round face already & I didn't know if this would suit me, but when I saw my pictures later, I felt it looked really nice & come on...this look would NEVAAA been complete without the signature red bindi!! 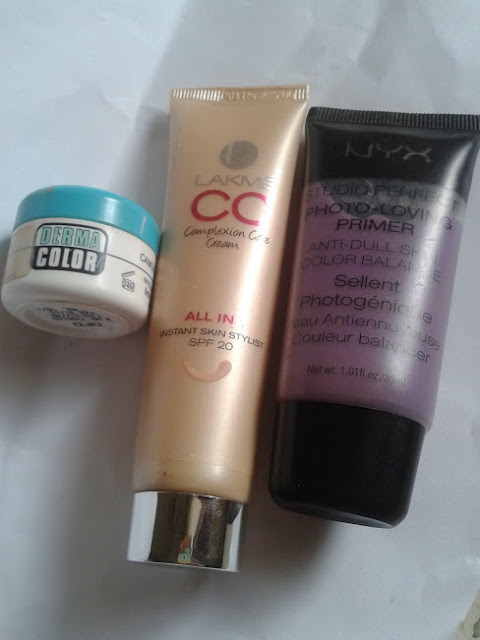 It's an absolute MUST & I love it :-) I brought out my festive earrings (they're really heavy & I dont wear them often) to bring the look together. I really liked how the look turned out. The red-pink toned makeup, the bindi & the lipstick, the gold from the earrings...everything just seamlessly blended together!! 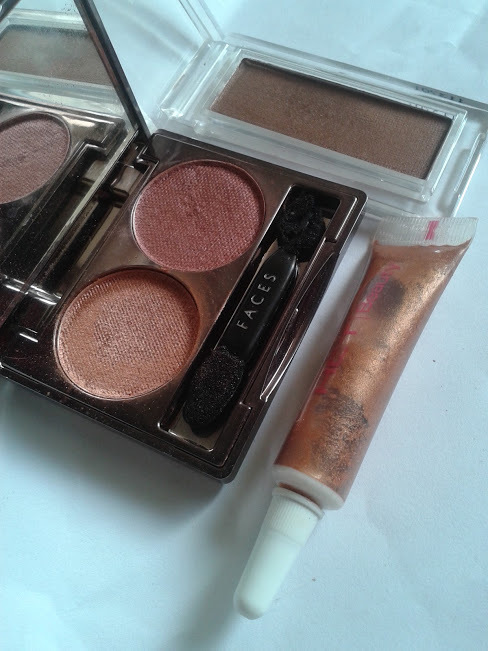 The best part is that you can use the products that you might already have & re-create this look. Thanks Komal! :-) I'm glad you liked the look... I picked up this blush from a blog sale, its a lovely one na? Perfect Festive look..bindi sure looks good on you Neha.. This is just so beautiful, gorgeous and glamorous! I love how you have done everything in detail, yet without too much of hassle. I don't like it when, during the festivals we are always so short of time and people ask to create even the simplest of looks with say, about five colors for the eye make up!